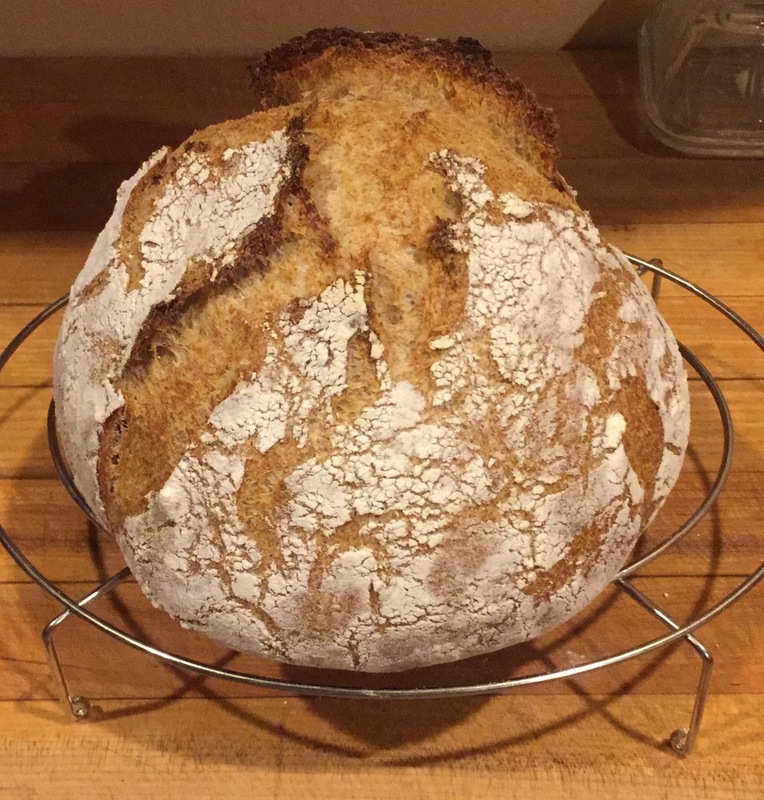 Part I: How baking bread can be a creative outlet, an opportunity for meditation, a process of rebooting your relationship to food. What is the first thing you notice when you encounter a loaf of bread? Is it the rich golden color? The warm, sweet yet slightly yeasty smell? Is it the crackle of the crust? Is it the initial crunch followed by pillowy softness? Or is it the cosmic yet grounded, earthy but subtle taste — simultaneously neutral and sour and sweet and savory? I can’t decide. Bread became an important part of my life officially about a year ago when I set out to start baking my own sourdough. Also known as French country bread, or pain de campagne, this is a traditional bread loaf made from three ingredients: flour, water, and salt. The key to this bread is time. Flour and water are combined and the mixture must sit and ferment for several days to a week to form a starter, which leavens the bread, and creates a rich diversity of flavor, texture and smell. 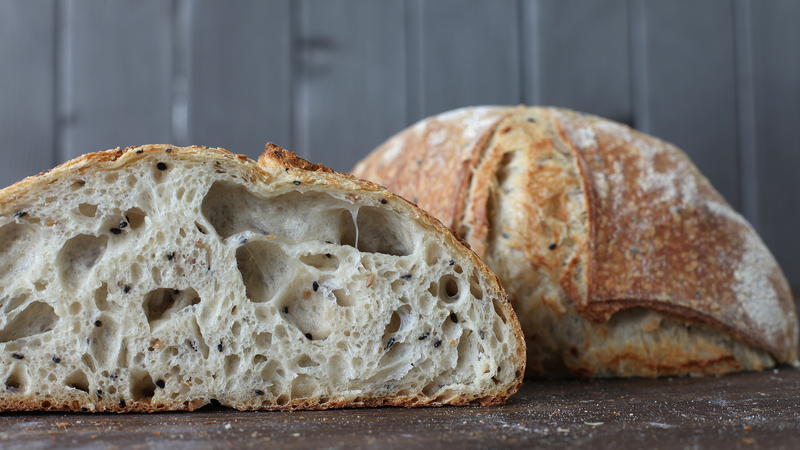 What I love about sourdough, besides the total-sensory experience of it, is the simplicity. There is something about bread that is almost primordial. It hearkens back to the birth of civilization, a tribute to human ingenuity and creativity. Bread appears throughout history — in the Bible, the Qu'ran, the Torrah, in political, cultural, social, economic and philosophical discourses, prose and poetry. Bread is a symbol of life. In the past decade, a fear of bread has surfaced, in the United States especially. A fear of bread and a fear of gluten. In the "Air" episode of his series on Netflix, Cooked, Michael Pollan attempts to briefly and succinctly debunk this fear. In the clip below, he interviews a chef who discusses the issue. The problem that Pollan highlights is the industrialization of food. Bread, especially in the United States, is produced overwhelmingly in factories. It is made with commercial yeast, which speeds up the rising process without breaking down the wheat, thus preventing it from being more easily and efficiently digested. Because bread produced commercially isn't being processed properly we see more and more people seeming to experience digestive issues and/or weight-gain when they consume bread. This is something that many people are identifying as “gluten intolerance” or blame on consuming too many carbs, but these conditions aren't necessarily medically backed and they are the effect of poor bread production, not real bread. Baking bread became for me a creative outlet, an opportunity for meditation, and a process of rebooting my relationship to food. The grocery store separates from us all of the time, labor, and substance in the food we buy so that we have no connection to the origins of what we eat. The result is that we often have little idea of what went into making the food that we consume, or even what it is exactly that we are eating. And how absurd is that? The fermented flour that leavens bread consists of a micro-universe of organisms that break down the carbohydrates, gluten, and nutrients of the wheat and bring out the full potential of bread. This fermented culture, which we call a starter, can be “fed” and kept alive indefinitely. When embarking on my bread endeavor I read a story about a baker whose grandfather visited from abroad and brought in his suitcase a starter that his family had kept alive for over a century. I loved the idea that a starter could encapsulate the history of a family, that it could be passed down like a living heirloom for generations, growing richer and more powerful in the hands of each subsequent baker. This pungent potion is what literally and figuratively elevates and brings bread to life. 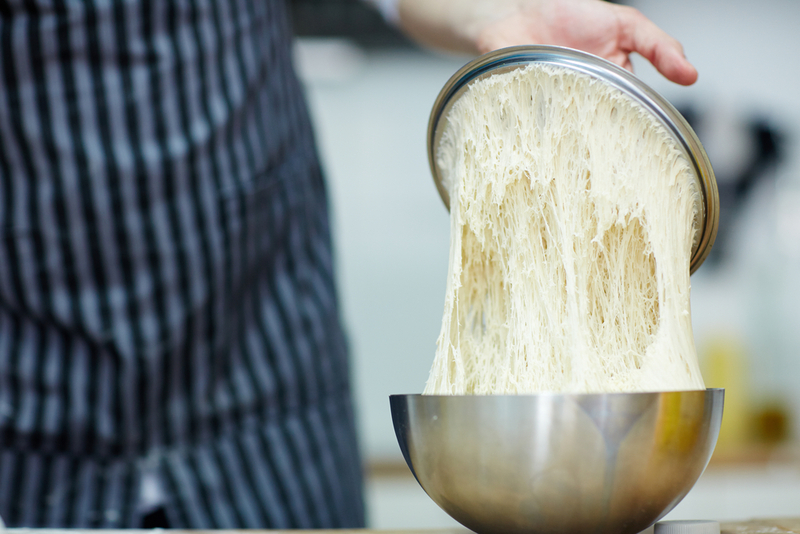 Making bread is like alchemy, it is real-life magic. Bread-making is a teacher in and of itself. But who has 20-plus hours to spend making a loaf of bread? 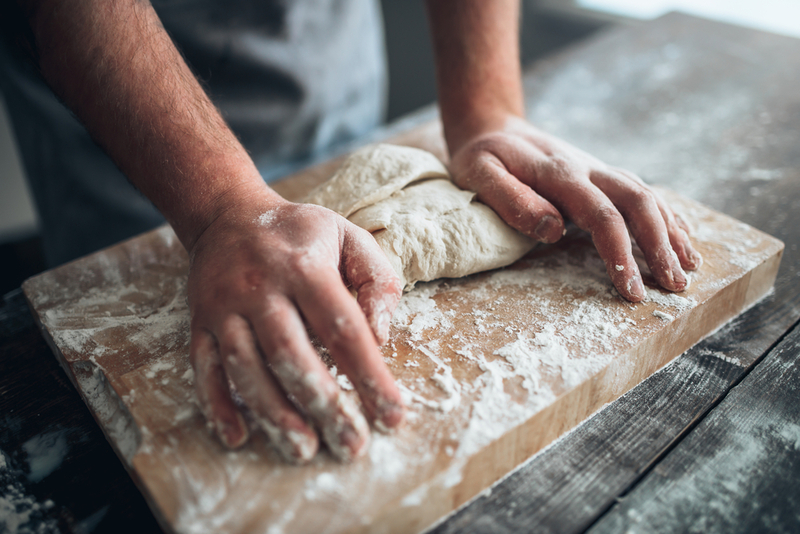 Because that’s the minimum time requirement if you really want to do it right — to make a starter, add it to your leaven, make a dough, let it rise, shape it and then bake it. A desert hermit has this kind of time, but certainly not a graduate student in Paris. But you’d think that well, at least this graduate student is in France, the veritable Mecca of bread. I wouldn't be so sure. Yes, you can find pain de campagne at nearly every boulangerie in Paris, but it would appear that not every Parisian baker has the 20 hours minimum to bake real sourdough either. It came as a surprise to me when, not just once but several times from several bakeries, I bought and bit into a pain de campagne and immediately knew it wasn't real sourdough. In these instances, the taste of commercial yeast is downright heartbreaking. And while I’ve found it’s relatively easy to track down the best baguette, croissant and pain au chocolat in Paris, finding good, authentic sourdough has been a real challenge. A challenge, which any reader who has gotten this far may also be interested to know, I am attempting to undertake. So, stay tuned for the sequel, get the scoop, on sourdough — real fermented pain de campagne in Paris. Until then! Writes about food and sustainability. Likes animals and hiking and camping and driving and acting on spontaneous impulses.